If you are a blogger, you already know the drawbacks of uploading large size images on the blog. If you are just a normal user but like to use Pinterest or other photo-based social media services, you know how much time it takes to upload larger images. There might be many more reasons when you wish to have a tool to compress the image without losing the quality. There are several online and desktop based tools available to compress the image size without losing the quality. Not all tools work same and compression level also differs. If you go with desktop based tools, you will only be able to use image compression only if you are using your system. If you use online cloud-based tools, you are free to use these image optimizer tool from anywhere. So, I recommend you to try online tools. These tools also work fine and offer the good level of compression without affecting the quality. In this article, I am listing free online image compression tools to optimize images online. You should all these tools. Check this list of image optimization tools and see how these tools work for you. Compressor.io is an excellent image optimization tool. It reduces the size of images and photos without affecting the quality. It supports JPEG, PNG, GIF and SVG file formats. This tool uses free and open-source software such as : pngquant, OptiPNG, JpegOptim, Gifsicle and Scour. You can upload and optimize the unlimited number of images. It uploads and compresses images online and gives you 6 hours of time before it permanently deletes the image from its server. Compressor.io is also working to increase upload limit size, bulk upload and bring an offline desktop version of the tool. Kraken.io is another free tool to optimize images online. There is also a paid version of the tool with advanced options and high-quality results. The free version of the tool allows you to upload images of up to 1 MB in size. It offers you three advanced optimization methods: lossy, lossless and customized options. In the pro package, you get options to resize images, upload images from multiple sources, save images to dropbox and unlock the unlimited image size. After optimization, you get the option to either download image individually or compress to make ZIP archive before downloading. Tiny PNG is also a popular image compression tool. It supports compression of .jpg and .png image files. You can also bulk upload up to 20 images and each image must be of less than 5MB of size. This tool works by selectively decreasing the number of colors in the photo. It reduces the image size but appears almost unnoticeable when compared to the original images. After the image compression, you can either download or save images to your Dropbox account. It claims to compress images by up to 85% without affecting the image quality. OptimiZilla is another nice tool that uses the combination of optimization techniques and lossy compression to reduce the image size. This tool supports compression on PNG and JPEG file types. You can also upload up to 20 images at a time and even customize the quality settings for individual images. It also shows the side by side compression of original and optimize images. You can even zoom images to have a closer look on the quality. Once you have done with inspection, you can download the compressed images. These tool deletes all the images you upload after an hour. Image Optimizer is also a nice tool to compress the image. It also requires the quality, max width, and max height before you start the optimization. So, this is basically an image resizer tool along with optimizer. If you are a blogger or you do not need to upload full size of high-resolution image, you can use this tool to compress the size and dimensions both. JPEG Optimizer is also a nice tool for decreasing the images but this tool also affects the image quality and you can notice this in the photo. This is the reason the compression ratio of the tool is very high and can reduce the size by up to 99%. You get the option to set the compression level. The higher compression level you select, the more it affects the quality. You also get the option to change the image dimension. This tool only allows you to upload one image at a time. If you have multiple images to compress, you might not find this tool good. Resize Photos is also a good online image optimizer tool to save file size. This tool allows you yo select the image width, quality, and output format before you start compression. This tool is not basically the image optimizer but the tool to resize images. So, it also affects the image quality and it depends on the image compression level you select. I recommend this tool only if you are comfortable in changing the image size. These are some of my favorite online tools to compress images online without losing the image quality. If you are using WordPress and wants to compress images for your blog, you should use the image optimization plugins. From these 7 tools, top 4 tools are worth to try and I recommend these 4. Compressor.io and Kraken.io are my favourite tools for compressing images online. 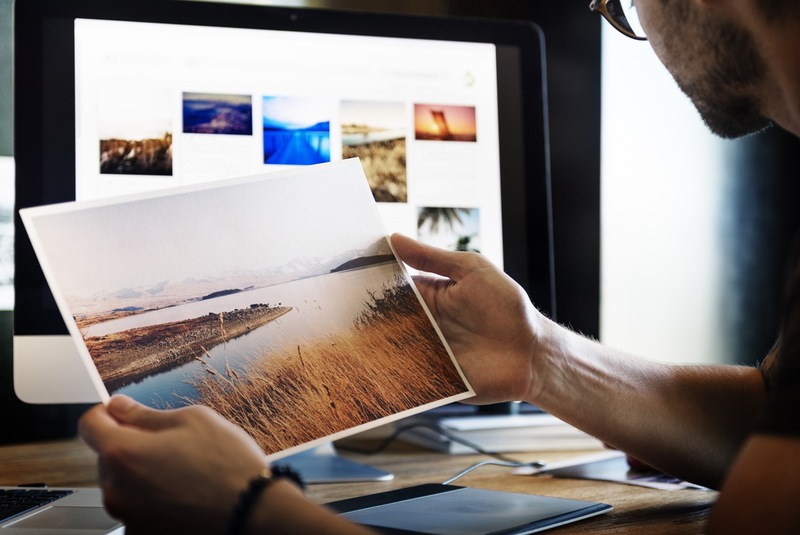 You can try all of these image optimization tools to see how these works. If you know any good image optimization tool that I missed to add in the list, comment below to suggest me. I will surely update the list with relevant content. Also, do not forget to let us know what image compression or optimization tool do you use. Don’t forget to share this article and help us to grow. You can also read the articles below.